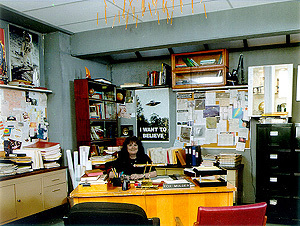 The girls and I went to the aformentioned X-Files convention just before they released the last X-Files movie. NO cameras indeed. 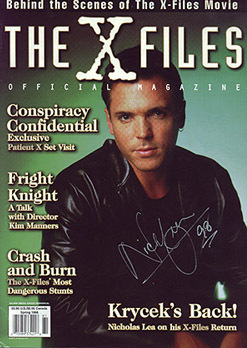 Therefore an autograph mag cover of Nicholas Lea instead... But, yes, that is a picture of him! 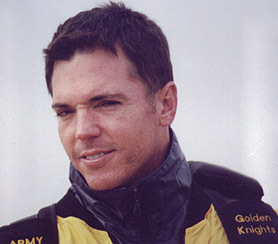 My friend Duane went to an air show and got to meet him. I am so jealous. I have met Dean Haglund, who plays Langly. Also Rob Bowman, the director of many episodes as well as the movie.